00:46 ONE OF MY MUSLIM TERRORIST- BECOME CHRISTIAN FRIENDS. 00:54 OVER THERE IN THE PALESTINIAN AREAS IN JERUSALEM OR IN ISRAEL. 01:00 NOW YOU'VE COME TO CHRIST. 01:04 YES, I DID, ZOLA. 01:06 YEAH, YEAH, I'M SO GLAD OF THAT. 01:16 HOW THE SCALES WERE ON MY EYES, THEY WERE LIFTED OFF. 01:19 WELL, YOU WERE BORN A COUSIN, BUT NOW I WELCOME YOU AS A BROTHER. 01:29 AND THAT'S WHAT I WANTED TO TAKE UP WITH YOU. 01:39 AND THAT'S CLEAR TO EVERYBODY THAT WATCHES THE NEWS. 01:41 BUT, WHAT'S GOING ON IN AMERICA IS NOT SO CLEAR. 01:49 THEY TOLD USE THERE WERE 50 MOSQUES IN THAT CITY, SMALLER THAN DALLAS. 01:53 I THINK WE HAVE 2 OR 3 MOSQUES. 02:05 NUMBER TWO, WHAT GOES ON IN THOSE MOSQUES? 02:11 IT ORIGINALLY STARTED IN THE 30S AND 40S. 02:14 THEY CAME TO WORK AT THE CAR FACTORIES, DETROIT, DEARBORN. 02:17 FORD MOTOR COMPANY HIRED MANY IMMIGRANTS. 02:19 I SEE, OF COURSE, HENRY FORD WAS NOT A FAN OF ISRAEL. 02:26 I'M NOT SURE THAT WAS THE EXACT MOTIVE, BUT NEVERTHELESS HE GOT SOME GOOD LABOR. 02:29 I NEVER LIKED FORDS EITHER, NEVER MIND. 02:41 YOU KNOW, WHERE THE HARDEST LABOR IS. 02:51 AND OF COURSE, GENERATION AFTER GENERATION. 02:53 COME THE 60S AND 70S, IT STARTED TENS OF THOUSANDS AND NOW OF COURSE, HUNDREDS OF THOUSANDS. 03:02 TO THE EAST COAST AND MINNEAPOLIS, BUT OF COURSE NORTH AND SOUTH FROM THERE. 03:12 HE SAID WELL THERE'S 100 IN NEW YORK, SO WHAT. 03:15 I SAID, WELL IT'LL BE CONVENIENT FOR YOU WHEN THEY FORCE YOU TO WORSHIP WITH THEM. 03:19 I MEAN, WE WERE ARGUING ABOUT THE WAR ON TERRORISM, THE LARGER PICTURE. 03:23 BUT, AREN'T THEY PREACHING THE SAME THING IN THE MOSQUES IN AMERICA THEY DO IN SAUDI ARABIA? 03:38 TO VOICE YOUR OPINION OPENLY WITHOUT FEAR OF GOING TO PRISON. 03:52 IRONICALLY YOU WILL NOT FIND IN MOST OF MUSLIM COUNTRIES. 03:56 YOU'RE NOT GOING TO FIND THAT FREEDOM. 04:09 BECAUSE THEY SPEAK OUT AGAINST THEIR GOVERNMENTS OR THEY HAVE OPPOSING OPINIONS. 04:13 WELL, HERE IN THE STATES YOU HAVE FREEDOM. 04:21 THERE WOULDN'T BE ANYBODY LEFT. 04:22 THERE WOULD BE SENATORS. 04:24 SURE, RIGHT AND THAT'S THE POINT, ZOLA, THAT'S WHY. 04:27 SO WHAT'S HAPPENING IN THE MOSQUES? 04:47 LOOK THESE ARE OUR PEOPLE IN THE MIDDLE EAST. 04:49 THEY ARE FIGHTING FOR A JUST CAUSE, FOR A LAND. 04:52 WHAT ARE WE DOING THAT IS CRIMINAL? 04:54 WE'RE NOT DOING ANYTHING CRIMINAL? 05:02 BUT THE POINT IS WE KNOW WHAT THE END RESULT IS, BUT NEVERTHELESS, IT'S HAPPENING. 05:07 THERE'S FREEDOM TO DO IT, EVEN AFTER 9-11. 05:14 NOT MUCH, NOT MUCH. 05:31 AND YOU'RE BIG AND STRONG AND YOUNG AND NOBODY EVER ASKS YOU QUESTION ONE. 05:37 WHAT KIND OF SECURITY IS THAT? 05:38 WELL, THAT'S WHAT I'M SAYING. 05:39 I DON'T THINK ANYTHING HAS CHANGED. 06:04 FOR VIOLENT ACTS WITHIN THE UNITED STATES. 06:15 BECAUSE IT'S A DEMOCRATIC SOCIETY. 06:20 WHEN YOU HAVE A WHOLE GENERATION OF PEOPLE THINKING THE SAME THING? 06:23 SO IT'S THE SAME JIHAD, BUT IT HAPPENS TO BE ON NATIVE SOIL AND IT'S A LITTLE MORE SUBTLE. 06:46 I'VE DONE IT MY WHOLE LIFE AND I KNOW WHAT HE'S DOING. 06:58 AND TALK ABOUT THINGS ABOUT JEWISH TERRORISM, WHATEVER THAT IS. 07:10 IT'S SUBTLE, BUT IT'S A CONSTANT DRUM BEAT. 07:17 I WATCH WHAT THEY DO AND SOMETHING IS GOING ON. 07:26 SO WE'RE PAYING ATTENTION OVER THERE. 07:29 WHAT'S, CAN WE PUT THE FINGER ON A PROBLEM HERE? 07:33 WHERE'S THE PROBLEM AT? 07:41 YET NOTHING IS HAPPENING HERE BECAUSE WE'RE PREOCCUPIED EVERYWHERE ELSE. 07:45 WE STILL DON'T BELIEVE IT'S HAPPENING HERE. 07:47 NO, WE DON'T BELIEVE IT. >>WE DON'T BELIEVE IT. 07:49 WE DON'T ACCEPT IT. 07:51 WE'RE NOT GOING TO BELIEVE IT UNTIL 9-11 HAPPENS AGAIN, UNFORTUNATELY. 07:54 AND IT'S GOING TO HAPPEN AGAIN, ISN'T IT? 07:56 IT CERTAINLY SEEMS THAT WAY. 07:58 I WISH, I DON'T WANT TO SOUND PESSIMISTIC, I DON'T WANT THAT, BUT IT CERTAINLY LOOKS THAT WAY. 08:18 AND NOW THAT YOU CONFIRM IT, YOU WERE IN MOSQUES ALL YOUR LIFE. 08:32 MOST OF THE ARAB MUSLIM PEOPLE HAVE VERY GOOD INTENTIONS. 08:35 THEY WANT TO SERVE GOD. 08:50 WITH ISSUES THAT HAVE NOTHING TO DO WITH THEIR DAILY LIVES, THAT HAVE ZERO AFFECT. 08:55 I'VE OFTEN FOUND, YOU KNOW I'VE DEALT WITH PALESTINIAN PEOPLE IN PARTICULAR FOR YEARS. 09:16 AND TRAVEL PEOPLE, [WE] DID WELL. 09:20 WE BUY SOME MATERIALS FROM PALESTINIAN MAKERS IN ISRAEL. 09:24 I'VE NEVER HAD A PROBLEM. 09:30 NEVER HAD A PROBLEM ON A TOUR, NEVER HAD ANYBODY BACK-TALK ABOUT ANYTHING. 09:34 THEY'RE JUST HUMAN BEINGS AND I LIKE MANY OF THEM, I KNOW MANY OF THEM. 09:42 I'M SPEAKING ACQUAINTANCES, OBVIOUSLY. 09:52 AND THEY'RE ALL THAT WAY. THAT'S NOT THE CASE. 10:08 YOU CANNOT SEPARATE THEM, UNLIKE ANY OTHER FAITH IN THE WORLD, YOU CANNOT SEPARATE THESE TWO. 10:21 WHICH IS BASED ON THE RELIGION. 10:33 BECAUSE THEY SUBMIT TO THE CULTURE. 10:34 I HOPE THAT DOESN'T SOUND CONFUSING. 10:38 IT'S ESSENTIALLY WHAT'S HAPPENING TODAY. 10:40 IT'S DIFFERENT FROM JUDAISM AND CHRISTIANITY. 10:46 I SAY, PAY NO ATTENTION TO JUDAISM. 10:48 THEY DON'T LIVE THAT WAY. >>SURE. 11:03 LIVES HIS DAILY LIFE AS A MUSLIM. 11:05 THAT'S RIGHT, HE LIVES IT REGARDLESS, BECAUSE OF HIS CULTURE. 11:08 BUT, MOST OF THEM HAVE GOOD INTENTIONS, THEY ABSOLUTELY HAVE GOOD INTENTIONS. 11:13 THEY WANT TO DO THE RIGHT THING. 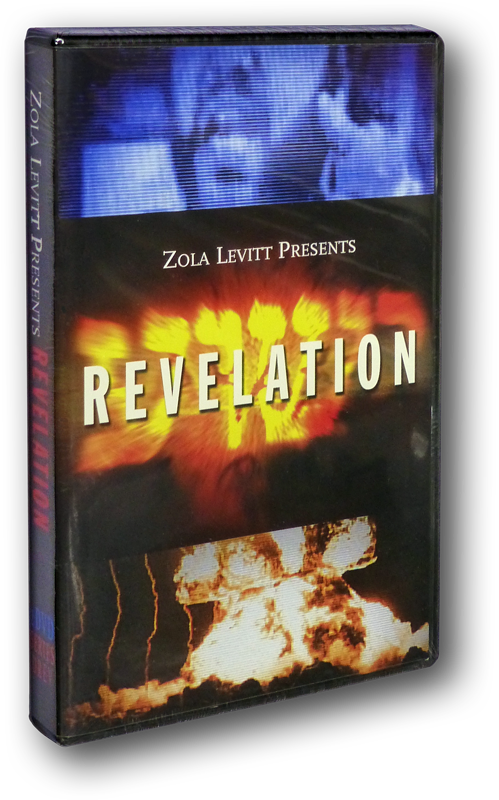 11:14 THEY HAVE A GREAT ZEAL FOR GOD THAT WILL PUT OTHER CULTURES AND PEOPLES TO SHAME, ZOLA. 11:19 IF WE HAD THEIR ZEAL WE COULD CHANGE THE WORLD. 11:24 SO, WHAT DOES THAT MEAN? 11:25 WHAT DO WE DO? 11:27 WHAT DILEMMA DO WE HAVE TODAY? 11:38 YOUR LAND WAS TAKEN AWAY FROM YOU, STRIKE. 11:42 YOU HAVE A POLITICAL PROBLEM HERE, STRIKE. 11:44 GATHER TOGETHER FUNDS, STRIKE. 11:53 HERE IS WHY AND THEY GIVE MULTIPLE REASONS. 11:54 SO, YOU SEE IT'S BEING IMBEDDED IN THEIR MIND FROM THEIR YOUTH. 12:00 IT'S VERY HARD TO CHANGE A PERSON WHEN YOU'RE BORN AND RAISED TO THINK THIS WAY. 12:10 IT'S GOING TO TAKE SOME TIME, IT'S NOT GOING TO HAPPEN IN A WEEK. 12:14 WELL, HE'S ONE OF THE GOOD GUYS. 12:22 A SAVED TERRORIST TO TELL YOU THE TRUTH. 12:34 BUT, I'M GLAD HE'S FREE AND HE'S REALLY FREE BECAUSE HE MET THE JEWISH MESSIAH ALONG THE WAY. 12:41 BACK WITH HIM AFTER THIS. 13:16 ASK FOR OUR FREE MONTHLY NEWSLETTER, THE LEVITT LETTER. 13:19 WHEN YOU CALL, BE SURE TO ALSO AS FOR OUR FREE CATALOG WITH THE LATEST VIDEOS, BOOKS AND MUSIC. 13:30 READING PACKETS, TEACHING CASSETTES AND MAIL-IN TESTS. 13:36 GREECE OR THE HOLY LAND EXPERIENCE THEME PARK IN ORLANDO, FLORIDA. 13:40 PLEASE CONTACT US FOR MORE INFORMATION. 13:44 IF YOU HAD BUT ONE WORD TO DESCRIBE ISRAEL, WHAT WOULD THAT ONE WORD BE? 13:56 SHABABA, WHICH MEANS AWESOME. 13:59 LOVE, THE LOVE OF GOD. 14:20 BELIEVERS IN THE LORD IN ISRAEL THESE DAYS THAN EVER BEFORE. 14:24 WHEN WE TRAVEL WE GO TO MESSIANIC CONGREGATIONS. 14:27 IN ONE OF THEM THE RABBI EVEN CALLED UP THE MEN FROM OUR TOUR TO READ FROM THE TORAH. 14:37 AND YOU SAY THEM AND THEY HAD A FABULOUS EXPERIENCE. 14:43 FROM THERE ON HE WAS LIKE AN ANGEL. 15:01 I'VE HEARD ABOUT THAT AND I'M HAPPY, VERY HAPPY, WE'RE EXCITED. 15:18 ESPECIALLY THE LAST 5 THAN IN ALL OF HISTORY COMBINED IN ALL 1400 YEARS OF HISTORY COMBINED. 15:25 GOD IS MOVING MIGHTILY IN THE MUSLIM WORLD AS WE SPEAK. 15:28 IT'S CONVERSION RATE IS 365,000 A YEAR. 15:42 AND IT'S ABSOLUTELY AMAZING. 15:53 HERE COMES THE END AND IT'S TIME TO MAKE A DECISION. 15:57 I MEAN EVEN AN ORDINARY UNBELIEVER CAN SEE THAT THINGS ARE IN A STATE. 16:14 BECAUSE THEY WANT TO CONTROL THE MIND OF THE PEOPLE. 16:22 BECAUSE THEY DON'T WANT THEIR PEOPLE TO BE CORRUPTED BY OUTSIDE INFLUENCE. 16:38 AND COMPARE IT, THEY WILL COME TO CHRIST IN NUMBERS WE HAVE YET TO EVER SEE. 16:43 OH, OF COURSE THEY WOULD, SURE THEY WOULD, ANYBODY DOES. 16:45 YOU KNOW, WE GET LETTERS FROM SAUDI ARABIA, I'M NOT KIDDING. 16:59 IT'S THE SAME SIDE OF THE WORLD AND THEY CAN SEE IT. 17:02 THERE'S AN AMAZING TESTIMONIES, ZOLA, ALL OVER THE MUSLIM WORLD. 17:06 I WISH WE HAD TIME TO GET INTO THEM, SO MANY AMAZING TESTIMONIES. 17:09 A MAN WAS IN THE COUNTRY OF JORDAN, HE FELL OFF A CLIFF 500 FT. STRAIGHT DOWN IN HIS CAR. 17:23 I DON'T KNOW WHY BUT I CALLED OUT TO JESUS. 17:29 BUT HE WALKED OUT WITH JUST A FEW SCRATCHES, GAVE HIS LIFE TO CHRIST. 17:31 HE BELIEVED THAT CHRIST SAVED HIM AND HIS LIFE HAS BEEN TRANSFORMED. 17:52 AND I HEARD MY OWN VOICE, NOT JESUS, BUT I SAID GOD, DEAR GOD, HELP ME, HELP ME. 18:04 NOT EVEN SHAKEN UP, JUST CAME TO A STOP LIKE A HAND REACHED DOWN AND STOPPED THE CAR. 18:18 BOY WE KNOW IN A TIGHT SPOT FROM WHENCE COMETH OUR HELP. 18:28 AND BY GOSH WHEN IT COMES TIME TO LEAVE IT YOU REALLY REMEMBER. 18:39 ESPECIALLY THE MUSLIM WORLD, HE'S DOING IT ALL OVER THE PLACE. 19:23 WHICH ARE PROHIBITED TO PASS THEM OUT TO PEOPLE IN HIS COUNTRY. 19:28 IT'S AN AMAZING STORY AFTER STORY. 19:47 AND OF COURSE AFTER A TIME THEY RAN HIM OUT OF TOWN. 20:04 HE PLANTED THE SEED. 20:05 LET ME GO BACK TO THE MOSQUES YOU WENT TO AS YOU GREW UP AND SO ON. 20:13 WHAT WOULD HAPPEN IN THE MOSQUE ABOUT THAT. 20:21 WELL, YOU KNOW WHAT, I BELIEVE IN THE BIBLE NOW. 20:23 OK, IN OTHER WORDS, PEOPLE THAT ARE IN A MOSQUE NOW, FORMERLY MUSLIMS. 20:37 AND BEEN THERE AND HAVE HELPED MANY SEE THE DIFFERENCES BETWEEN THE TWO. 20:53 UNFORTUNATELY, IN OUR CULTURE FOR CONVERSION. 21:01 BUT IN AMERICA IT'S NOT SO EASY TO CARRY IT OUT. 21:06 THE JEWS PRETEND THAT THE PERSON DIED, BUT THE MUSLIMS REALLY TAKE CARE OF IT. 21:20 DOES HE TRY TO DO WHAT THAT EUROPEAN RABBI DID? 21:23 CAN YOU ALLOW ME TO TELL YOU A 3 SECOND STORY? 21:42 THAT IF HE SPOKE AGAIN ABOUT THE BIBLE IN THAT COUNTRY HE WOULD BE KILLED. 21:46 HE DEFIED, OF COURSE, THEY KILLED HIM. 21:53 SO HE COULD CONCEAL HIS IDENTITY TO CONTINUE THE WORK OF THE PASSING OUT THE GOSPEL. 22:00 AS A JEW WHO CONVERTS TO CHRIST WOULD HAVE. 22:03 THEY HAVE A TREMENDOUS AMOUNT OF ZEAL. 22:04 THEY WANT TO SERVE THE LORD. 22:05 THAT'S HOW MUCH THEY LOVE THEIR PEOPLE. 22:07 BUT DOES IT HAPPEN? ABSOLUTELY. 22:09 IT'S HAPPENING EVERY DAY. 22:11 AFTER 16 PEOPLE WERE KILLED, HE COMES BACK IN DISGUISE AND STARTS TO WITNESS. 22:22 I SAID, MY GOSH, YOU MUST GET SOME PERSECUTION OUT THERE. 22:25 HE SAID, OH I DO, BUT PERSECUTION IS THE PROPER EXERCISE OF THE CHURCH. 22:31 CHRISTIANS GET WEAK AND FLABBY BECAUSE THEY DON'T GET ENOUGH PERSECUTION. 22:57 IN WHICH MUSLIM GIRLS WITH HEADDRESSES AND THE USUAL QUESTIONS AND SO ON. 23:07 STOOD UP AND SCREAMED, YOU ARE THE TERRORIST. 23:11 HOLY MOSES, I MEAN. 23:13 WELL, IT IS TRUE. 23:19 ACTUALLY IT WAS SUPPOSED TO BE A DIALOGUE, 11,000 PEOPLE WITH AHMED DEEDAT AND JOSH MCDOWELL. 23:42 LEFT WITH JOSH MCDOWELL FOR 3 WEEKS ON THE CIRCUIT, HE WAS SO MOVED BY THE DEBATE. 23:47 JOSH MCDOWELL IS A GREAT WITNESS. 23:49 IT WAS FABULOUS, ABSOLUTELY FANTASTIC. 23:52 I REMEMBER HIM AS A KID WHEN I WAS IN CAMPUS CRUSADE. 23:54 RIGHT, BUT THE VIOLENCE, WHY THE VIOLENCE? 24:01 AND THEY'RE WILLING TO DIE, THERE MUST BE SOMETHING TO THIS? 24:03 RIGHT, WELL, THAT'S THE ISSUE. 24:05 THAT'S THE PROBLEM WE HAVE. 24:07 WHAT I'M SAYING IS WE NEED TO BE ABLE TO COMMUNICATE JUST TO TALK WITHOUT THE VIOLENCE. 24:11 WHERE DOES THE VIOLENCE COME FROM? 24:14 HOW DO YOU STOP THE VIOLENCE? 24:15 THESE ARE QUESTIONS WE ALL WANT TO KNOW. 24:16 I MEAN, CHRISTIANS AND JEWS DON'T KILL PEOPLE. 24:20 BUDDHIST DON'T KILL PEOPLE. 24:21 OUR FAITH DOESN'T CALL US TO KILL PEOPLE. 24:27 WE DO THINGS THAT ARE WRONG AGAINST GOD'S WILL. 24:30 WE'RE THE ONE WHO SINNED, BUT GOD DIDN'T DESIGN IT THAT WAY. 24:34 THE BIBLE DOESN'T TELL US TO DO THINGS. 24:43 WE HAVE A RIGHT TO KILL ALL THOSE WHO RESIST ISLAM AFTER BEING WARNED. 24:54 YOU'RE MISINTERPRETING IT AND MANY WILL SAY, WELL THAT IS TRUE AND WILL TAKE IT LITERALLY. 24:57 SO, YOU HAVE A DIVIDE. 25:01 THAT'S WHERE THE CONFUSION COMES IN THE MUSLIM WORLD. 25:06 AND SOME MUSLIMS SAY, YES IT IS TRUE, SO HOW DO WE KNOW? 25:15 TO LOOK IN AND SEE FOR THEMSELVES. 25:16 ALRIGHT, YOU'RE COMING BACK FOR 2 MORE PROGRAMS. 25:19 YOU'RE JUST SO FASCINATING TO LISTEN TO, YOU REALLY ARE. 25:26 THAT WE GOT AT AN ISRAELI MILITARY PRISON OF REAL TERRORIST WHO'VE BEEN ARRESTED. 25:32 I MEAN, REAL KILLERS AND THEY TALK ALL DIFFERENT WAYS. 25:36 AND I'M GOING TO HAVE YOU TO LOOK AT THEM AND EXAMINE THEM. 25:39 YOU LIVED THIS LIFE. 25:42 YOU WEREN'T KILLING PEOPLE, BUT BOY YOU WERE UP TO A LOT OF STUFF WEREN'T YOU? 25:47 WELL, I WANTED TO BE. 25:48 THAT WAS MY ROLE. 25:52 AND TOLD HIM AND WENT ALL THE WAY TO PALESTINIAN TERRITORIES TO DO IT. 26:12 AND SHA'ALU SHALOM YERUSHALAYIM PRAY FOR THE PEACE OF JERUSALEM.